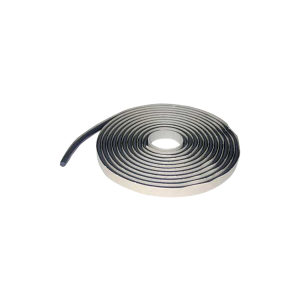 A non-sagging solid butyl tape for vehicle windshield and back lights. Bonds and seals glass to metal instantly. It will not break away from glass.